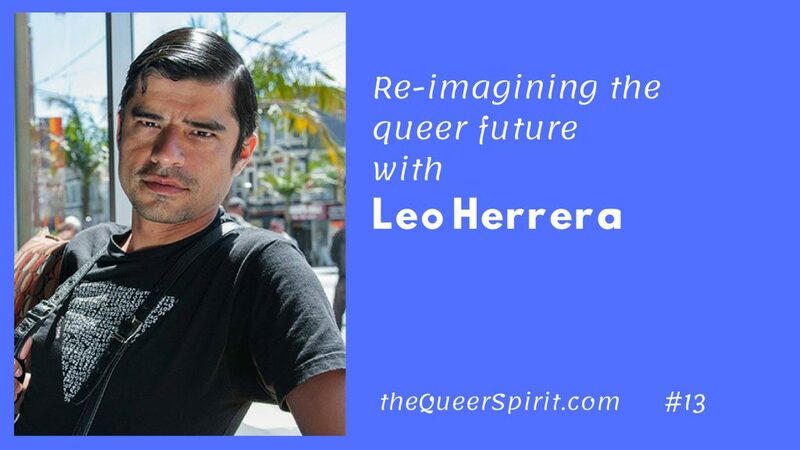 Leo Herrera is a Mexican self-taught visual artist, activist and writer based in San Francisco. His work focuses on the American queer experience, politics and history. His short, viral films have been seen by millions, featured in global media outlets and museum exhibits. He travels extensively to discover facets of queer culture/history and expose them to a new generation while paying homage to the past. Leo’s current passion project is Fathers, a sci-fi documentary web series and multimedia project that imagines the world if AIDS never existed and a generation had lived. Weaving real-life events, survivor histories and fictionalized events, Fathers creates a surreal vision of an alternative universe. Leo discusses how he started making films for nightlife events. The Fathers Project started as he made art about HIV/AIDS, then morphed into the idea of the absence of AIDS. His interest in sci-fi and technology, and how that is woven into the Fathers project. Talking to the ghosts of other artists who died of AIDS as a guiding influence in his work. What it means to imagine a Queer Utopia as a vision of hope for our community. How being an immigrant is an influence on his work, looking from the outside at the fictitious future of America. The blend of queer and immigration politics in his art to reflect the current political climate. The Fathers Project as an antidote to fear in the queer community. FATHERS Ep 1, by Leo Herrera 2018 from Herrera Images on Vimeo.